After breakfast we took two very excited girls for a ride, chugging slowly down river. They were most keen to feed the ducks and geese. We had said earlier that they shouldn’t feed them bread, but grain instead. They had brought a large bag of wild bird food for the purpose. Unfortunately the birds hadn’t read the recent publicity about bread being bad for them, and didn’t seem to want the grain! 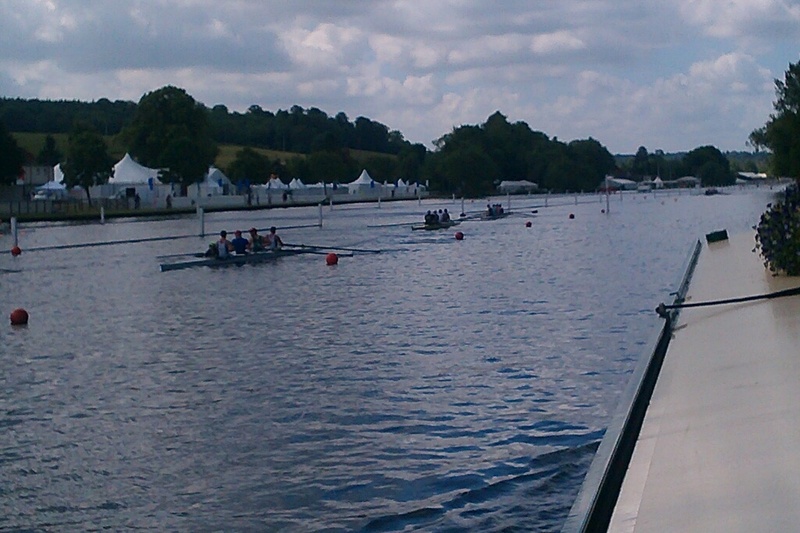 Henley is getting ready for the Royal Regatta which starts on Wednesday. There were lots of rowers practicing, and a general busyness and anticipation about, lots of people, and boats of all shapes and sizes, going hither and thither. 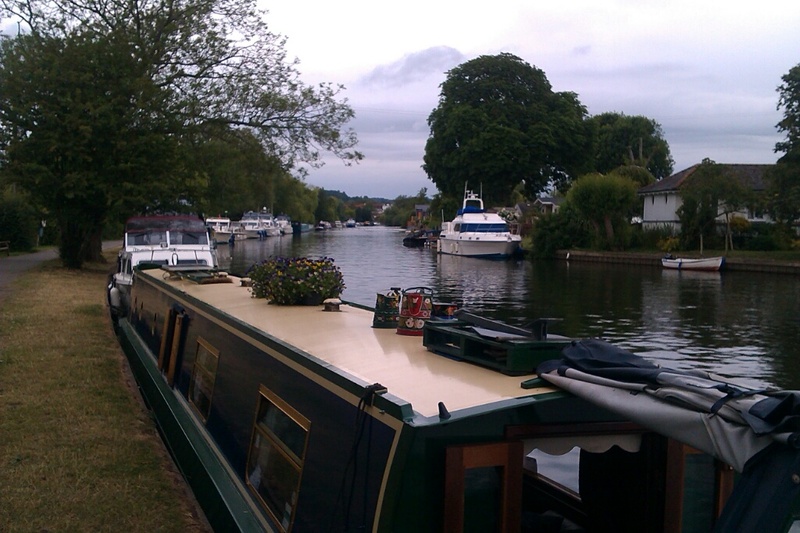 We found a lovely mooring alongside a public park. Although it was only about noon we decided to stay there for the rest of the day. 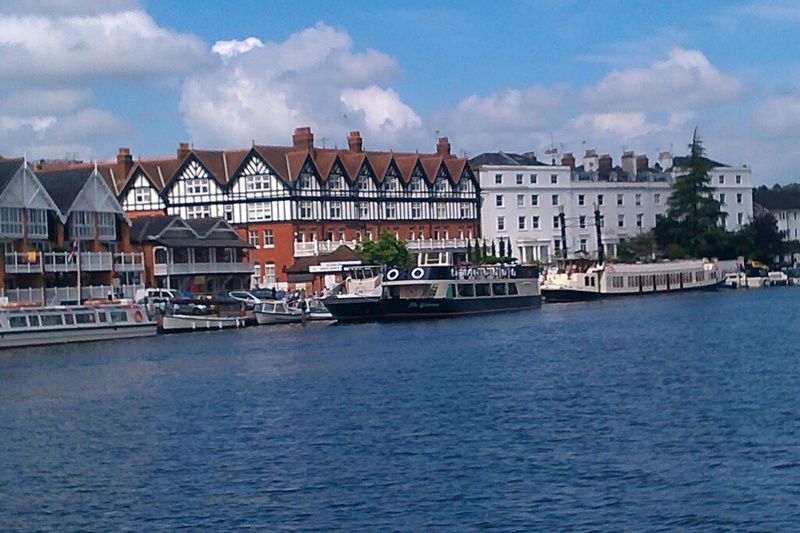 The mooring cost £10 for overnight, a ticket purchased from the car park pay & display machine. We spent the afternoon in the town, eating ice creams (all of us) and playing in the playground (some of us). For our evening meal Paul used his new “Cobb” to cook an excellent tandoori chicken. We sat outside in the lovely sunshine soaking up the atmosphere.